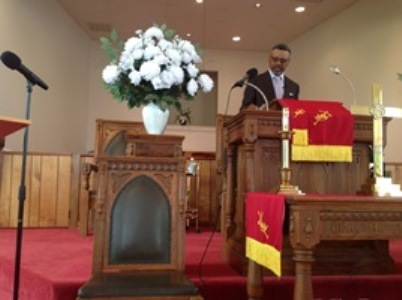 Pastor Horace L. Bazemore Jr.
An Hour of Godly encouragement!!! Communion is served every 4th Saturday during this hour. We believe that Jesus Christ is the Son of God. That He died for all mankind. His life was sacrificed as a gift which paid the price that we owed for the disobedience of Adam in the Garden of Eden. We believe that if you accept the gift of Jesus' death, at the time of your human death, your living spirit will be eternally joined with Jesus Christ in Heaven. The Bible is the foundation of what we believe. It provides direction and encouragement in our trials and tribulations. It also provides correction for incorrect behavior. We believe that we are to show our appreciation by demonstrating His presence in our life through our actions, and sharing the truth that He has given us in the Holy Bible. Come join us and let us share His truth with you!